Designed for long-distance reliable performance in extreme weather and road conditions, the 912 naturally excelled in professional rally racing. Factory Rally Kits included anti-roll bars, racing brake pads, and a dead pedal rest. In 1967 a 912 played a part in Porsche rally history that should not be forgotten, when independent driver Sobieslaw Zasada of Poland drove a 912 to win the European Rally Championship for series touring cars. That year, Zasada and his 912 actually scored more points than the Monte Carlo winning, factory 911S driven by the driving team of Vic Elford and David Stone. 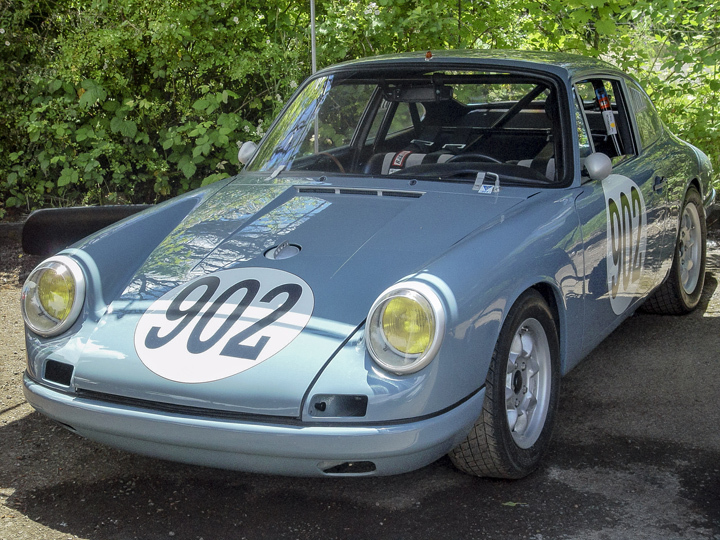 Today 912 / 912E competition cars appear in vintage races, autocross, rally events, and hill climbs with regularity, where their light weight and superb balance make them extremely competitive against cars with much more horsepower. On tight courses where handling agility counts for more than brute horse power, 912s routinely turn in faster times than modern late-model Porsches! Porsche actively promoted the new 912 Targa model for police duty, equipping them with "POLIZEI" markings and special electronics for the operation of a rear loudspeaker and flashing light. More subtle features included tandem inside rear-view mirrors, dual side view mirrors, fog lights, shoulder seat belts and reinforced seats. In April 1967, Christophorus magazine noted: "On 21 December, 1966, Porsche celebrated a particularly proud anniversary. The 100,000th Porsche, a 912 Targa outfitted for the police, was delivered. 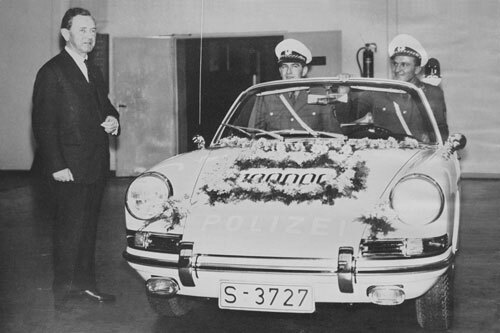 It was turned over to the Baden-Wurttemberg state police during a small celebration at the factory......The 100,000th car, carrying appropriate engraving on a silver dash plaque, is one of the first Porsche safety cabriolet Targas delivered, a design particularly well suited to police use thanks to its basic concept...."
A later press release noted ”40 police cars, mainly 912 Targas and some six-cylinder Coupés were delivered in 1967 alone”. In the late 1960s, Japan employed four 912 Coupes as Police Cars, one for each of their north, south, east and west highways, where they were faster than anything else on the road in Japan at that time. If you have an original 912 police car, please contact us! Over the years privateers have experimented with Porsche aesthetics and mechanicals to create what are collectively known as “Outlaw” or “Renegade” Porsches. 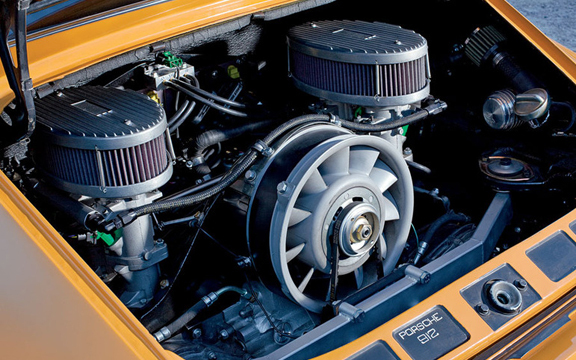 The most common modifications include period or modern performance upgrades, including torsion bars, lowered suspension, lightweight aftermarket components, and various engine upgrades such as big-bore pistons and cylinders, special crankshafts and camshafts, modified electrical systems, twin-plug ignitions, various different carburetors, external oil coolers and exhaust systems. More radical alterations include chopping coupes or Targas into true convertibles, or installing non-Porsche drivetrains. More than one electric 912 is known to exist. For many years, as 912 prices languished, and with factory-spec restoration costs far exceeding values, sometimes taking a Renegade approach was the only economical way to save a 912 that might otherwise be destined for the salvage yard. Today, as 912 values have risen, Renegade modifications are more a matter personal preference, limited only by imagination and budget. A refreshing trend amongst classic car enthusiasts, is to put emphasis not just on restoring cars, but on preserving them as well, and to recognize the beauty of their “patina” which before might have just been considered damage or wear. Some of the most fascinating 912s today are ones with engines or interiors that are built to a level that is beyond what Porsche originally offered, but with bodies that proudly display all of the neglect and abuse they have endured in nearly 50 years of existence. Compared to gleaming, stock, concours 912s, Renegades present an interesting, counterpoint view as to what the essence of a Porsche 912 may truly be.